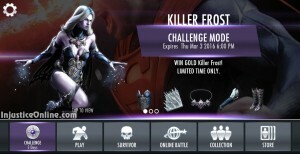 Killer Frost is one of the most interesting characters in the game due to her ability to slow down her opponents after performing her Special 1 move, causing a lot of damage to them in result of that. 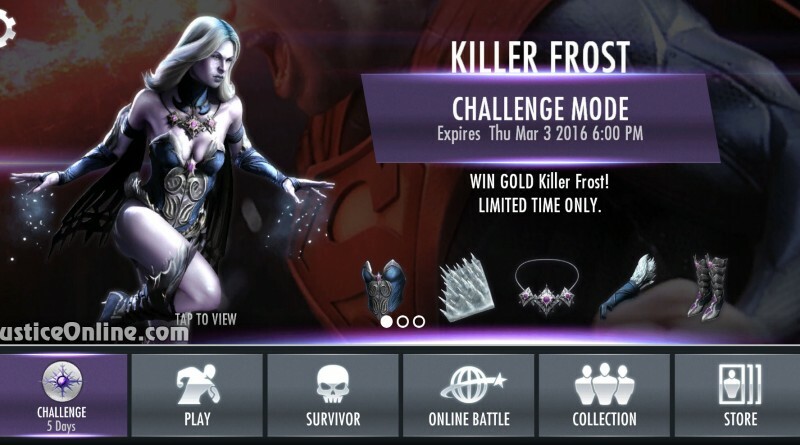 The challenge will be available until March 3rd, 2016. I just lost over a years worth of progress, 75+ characters at level 50 with the most recent WB online update WTF. Warner Brothers better take so me proactive measures to remedy this bullsht. You should try contacting the official WB support. May be they can help you get your content back.